Hey! Continue to talk about my Da Nang trip. The third day was a long day, we had a good run and also visited the Ba Na Hills before depart to Hoi An Ancient Town. 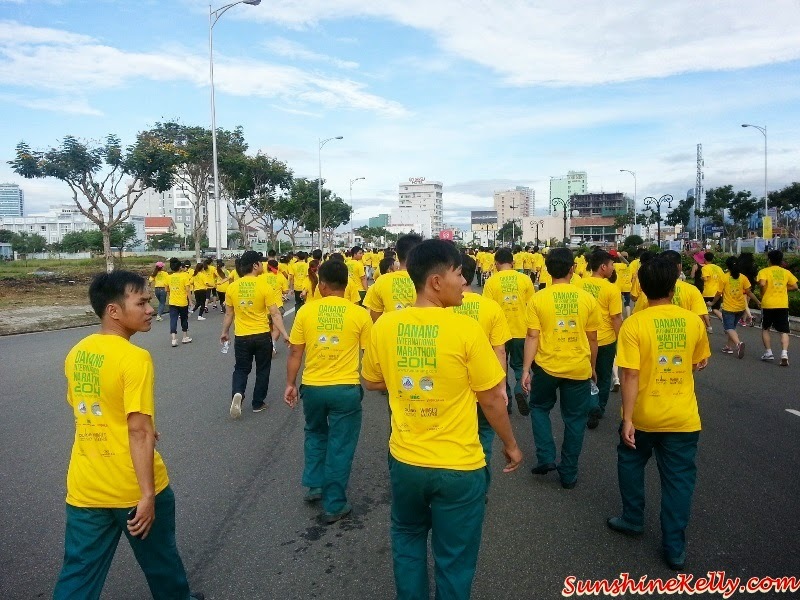 That day, I woke up very early about 530am for Da Nang International Marathon 2014. Guess how many km I ran this time? 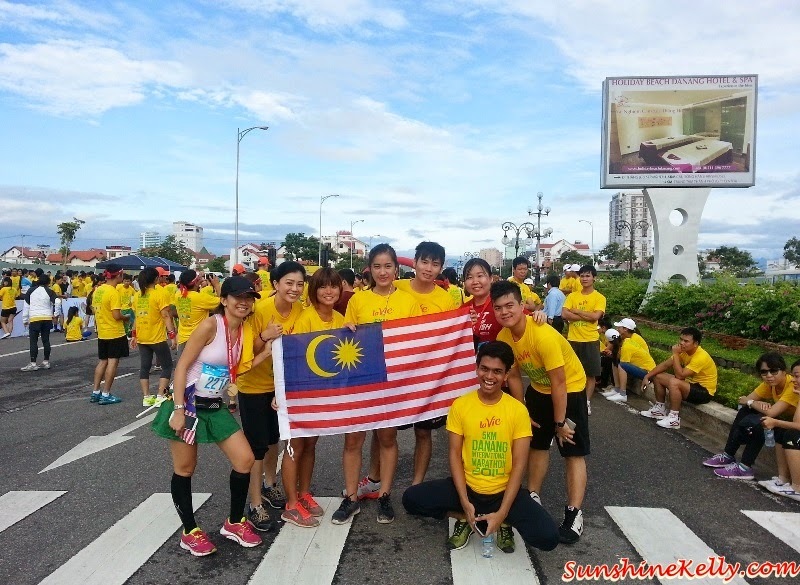 It was memorable way to celebrate 57th Merdeka Day in Da Nang – we took a group picture with our Malaysia Flag before we start the run. Show the world, we are proud to Malaysian – Kami Malaysia. I am a fun person so this round was fun run 5km. I better start training, hopefully next year I can come back for my half marathon. 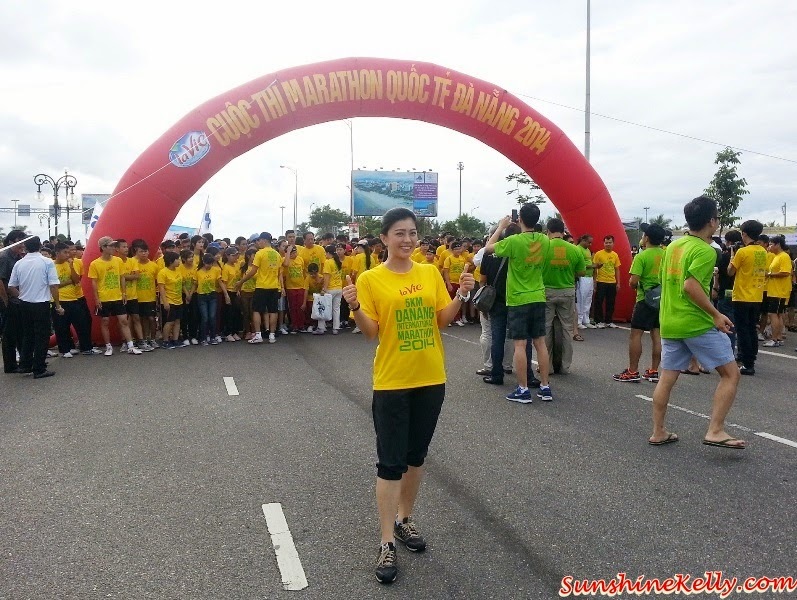 It is a great opportunity for the runners to experience the most beautiful and exotic beach city of Vietnam by running on a magnificent marathon course in South East Asia. 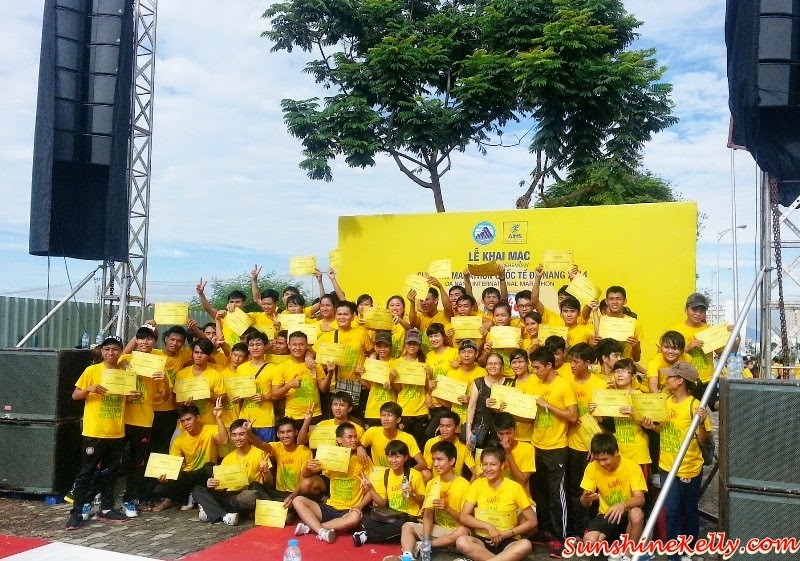 The race includes 3 distances - Marathon 42.195 km; Half Marathon 21.097 km and 5 km Fun Run. Overall, I enjoyed the fun run together with Ashman, Tennyson, Sue and Chu Chu. We ran, jogged, walked and chatted along the way, without realizing it we completed 5km. Plus we stopped to take pictures because the view was spectacular. After the race we went back to hotel, showered, changed and check out Minh Toan Galaxy Hotel. 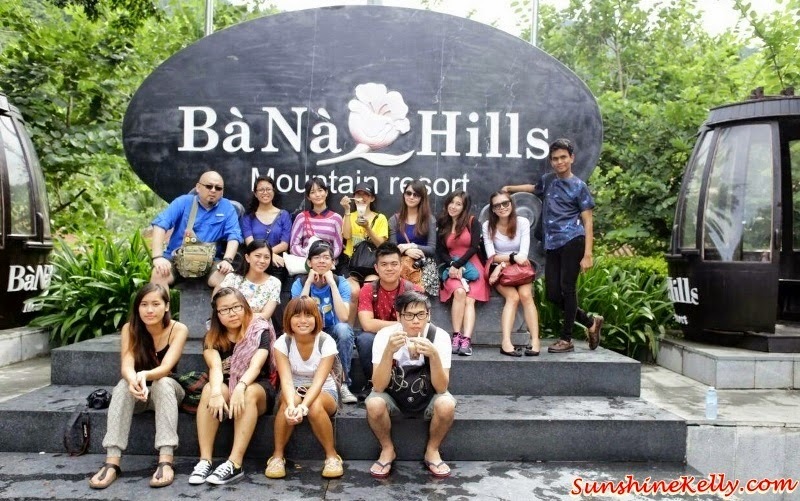 Then head to Ba Na Hills yuhuu! 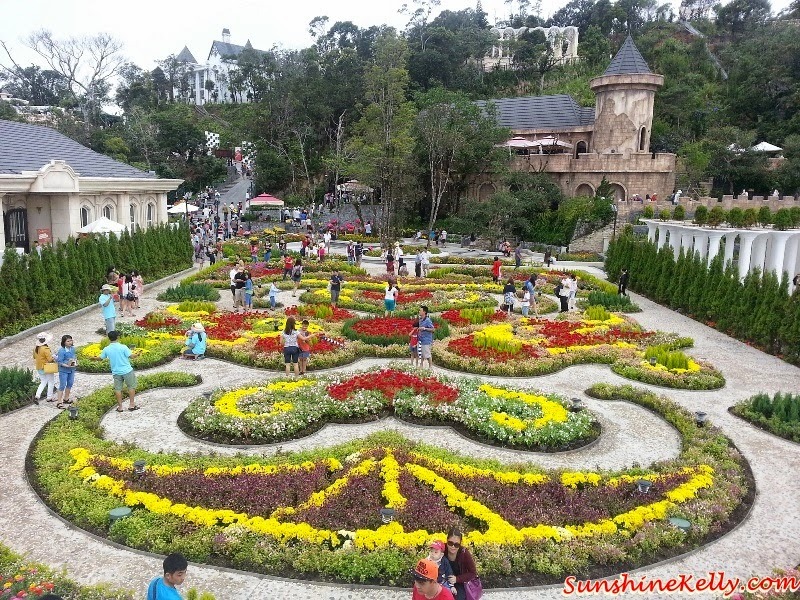 Ba Na Hills is located 25km to the Southwest of Da Nang at an altitude 1,487m. A path to fairy land. Enjoy the cool climate all year round. This is one of the temperate hideout in the tropical forest. We love the cool weather, the blooms plus the European scenery up here. During the weekend and holidays this place is usually packed. Wootz! I am afraid of height, one eye shut. Can you see all the mist and the slope aaa… By the way, Ba Na’s Cable Car System holds 4 Guinness World Records as the longest one line cable car in the world (5,771.61m); the highest different height between departure and destination (1,368.93m); the longest non-stop cable (11,585m) and the world heaviest cable rolls (141.24tonnes). Look! The architectures and building at Ba Na Hills Mountain Resort are based on novel named “Adventure to The Center of Earth” and “Twenty Thousand Leagues under the Sea” of French writer Jules Verne.